Julie Cooper read English and Music at Durham University. She studied with Julie Kennard at The Royal Academy of Music on a scholarship, before graduating with a Dip RAM. Julie has performed extensively as a soloist and consort singer all over the world. 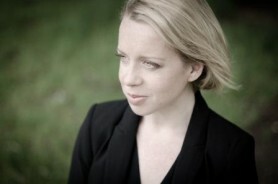 Recent solo performances include Part’s Stabat Mater and Miserere with The Hilliard Ensemble and BBC Singers in Tewkesbury Abbey; Britten’s War Requiem and Vaughan Williams Sea Symphony with the CBSO at Symphony Hall; Mozart’s Requiem with the Orquestre de Comunidad de Madrid conducted by Harry Christophers; Belinda Dido and Aeneas with The King’s Consort and Brahms’ Requiem in the QEH for Harry Christophers and The Sixteen. Julie has subsequently recorded this on the Coro label and filmed it for television. Julie sang the role of Juno The Fairy Queen (Theater an der Wien) with The King’s Consort and Michal Saul with Harry Christophers and The Sixteen in the Palace of Versailles. Operatic roles include Fiordiligi Cosi fan Tutti for Cambridge Opera and Dido Dido and Aeneas for The Three Choirs Festival. Julie created the roles of Hummingbird and Iris in Ed Hughes’ The Birds for The Opera Group and was invited back to the Buxton Festival to sing to roles of Lucinda and Shepherdess in Gluck’s Armide. Most recently, Julie performed the role of Iphis in a staged performance of Handel’s Jeptha with the Frankfurt Festival Chorus in Mainz and sang a role in Will Gregory’s new opera ‘Piccard in Space’, premiered at The South Bank and recorded for BBC Radio 3. Julie has also appeared in three highly acclaimed series of Sacred Music, presented by Simon Russell Beale on BBC4. Forthcoming engagements in 2014/2015 include BelindaDido and Aeneas with The King’s Consort in Vienna, Barcelona, Madrid and Granada; Israel In Egypt with The King’s Consort in Leipzig; Brahms’ Requiem with The Sixteen in The Bridgewater Hall; Mozart Requiem with The Sixteen in Granada; Gibbons madrigals with The Hilliard Ensemble at The Wigmore Hall; Bach’s St Matthew Passion with The London Bach Society; Purcell’s Indian Queen with The Sixteen in The Wigmore Hall and recording it for Coro and about forty Choral Pilgrimage concerts as a member of The Sixteen in Cathedrals, Abbeys and Minsters all over the United Kingdom. Julie has recently been elected an Associate of The Royal Academy of Music.